For a temple that receives close to 30 million visitors in the space of about 70 days that it is open every year, arrangements at Sabarimala are as perfect as can be. The state government, civic and local authorities, temple administrators and citizens—Hindus, Christians, Muslims and those from other faiths—have traditionally come together to ensure that everything works with clockwork precision for the smooth conduct of the pilgrimage. Not this year, though. There is tension in the air not just at the temple situated in the midst of the Periyar Tiger Reserve in the Western Ghats but in the state itself, quite unlike any witnessed in a long time. It has been so ever since the Supreme Court on September 28 decreed that the temple at Sabarimala was no more off-bounds for women of menstruating age. As the temple opened its doors for the annual pilgrimage season this month, for the first time in history, the turnout was less than previous years’. According to the information provided by the state police, over 1.25 lakh pilgrims came to the shrine to offer prayers on the first five days after the temple opened on November 16, compared to the 11 lakh who came during the same period last year. Turning Sabarimala and surrounding areas into a fortress, over 5,200 police personnel were deployed in and around the temple and the base camps of Nilakkal, Pamba and Erumeli. The surroundings of the shrine resembled a garrison rather than a temple devoted to Lord Ayyappa. The reason for the sudden turnaround in the atmosphere at the temple is the unseemly hurry shown by the Marxist-led coalition government headed by Chief Minister Pinarayi Vijayan. 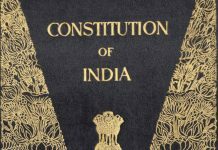 Barely had the ink dried on the apex court order than the CM announced that his government was duty-bound to facilitate its implementation. Vijayan, of course, showed no such hurry in implementing another apex court order that came in November last year in a tussle involving two factions of the Syrian Orthodox Church. The court had ruled in favour of one faction, but the other still refused to yield. As late as July this year, a full eight months after the apex court order, the government requested it for more time to bring both sides to an amicable settlement. It was not as if the CM was unaware of the public sentiment. 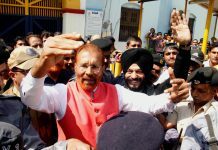 Yet, he acted like an instigator and, inspired by the government‘s stand, nearly a dozen women activists tried to enter the temple when it was opened for the monthly puja in October. But they had to return in the face of stiff resistance from other devotees. 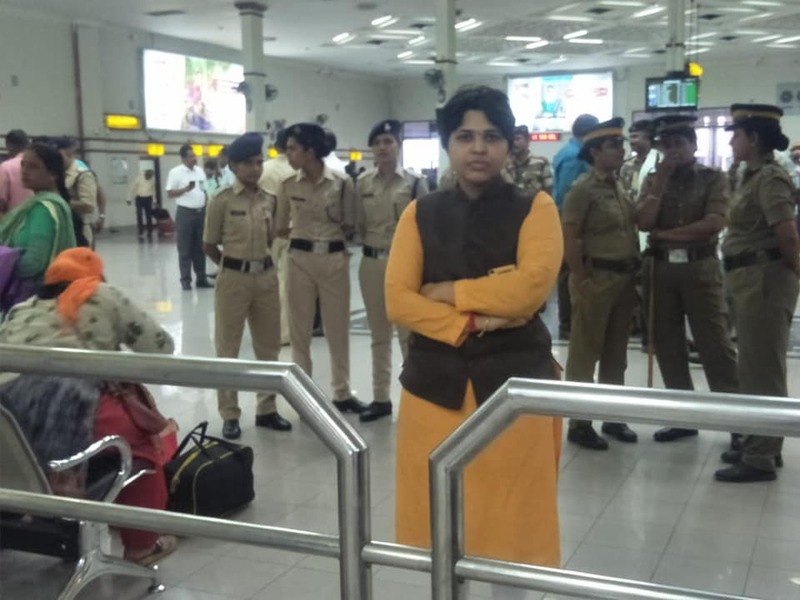 Among them was Trupti Desai who had fought long and hard battles for women’s rights in temples and shrines in Maharashtra. She came to Kochi vowing not to return until her wish to pray at Sabarimala was fulfilled. But she returned 18 hours later after not being allowed to step out of the Kochi airport by devotees. The police, whom she reprimanded for not ensuring her safe journey, told her they would provide her security if she could arrange her own taxi. Not only were taxi drivers unwilling to take her, even hotels would not let out rooms to her and her team of activists. Later, when the temple was opened for a day’s rituals marking the aattathirunal festival, the government tried everything in its powers to have a young woman make a “symbolic” entry into the temple. It may be recalled that the LDF government had withdrawn the affidavit submitted by the previous UDF government in the apex court to get a favourable verdict to facilitate the entry of women into the temple. Ever since the court order was pronounced, the state government has been announcing restrictions that, far from facilitating the pilgrimage, has turned it into an ordeal. It clamped ban orders at Sabarimala and nearby areas to check assembly of protesters. The restrictions included stopping of all private vehicles at Nilakkal and forcing devotees to take ferry bus rides at inflated two-way fares. Until now, prior to temple opening, mediapersons used to trek the Sabarimala hills to file reports on the preparations. But this time, they were banned and had to seek the High Court’s intervention. By then, the damage had already been done with the men in uniform literally occupying every inch of the sannidhanam to deny access to devotees. A big covered place which served as a resting area for about 50,000 pilgrims at a time was also taken over by the police. Thus those who came with aged parents and children had to take a break out in the open; or worse, were stopped from staying back to take part in some of the traditional rituals like neyyabhishem that involves worship with ghee that devotees carry to the shrine. A 110-member team of ayyappas (as the devotees are called during the 41 days they observe the vrath) who came to offer prayers from Mumbai had to return without having darshan as they realised it would be impossible for them to complete the trek and the rituals in the six-hour timeframe imposed by the police. The stringent restrictions and resulting drop in footfall have seen the temple earnings take a hit. The temple board’s guest house has 646 rooms that are normally booked to capacity. This year, more than half await visitors. The offerings made by devotees in the first four days stood at Rs 4.36 crore compared to the Rs 12 crore collected during the same period last year. Last year, the temple had a total revenue earning of Rs 255 crore which itself represented an increase of Rs 45 crore over the previous year. In the first 25 days of the season of the pilgrimage the revenue from hundi collection and sale of sweets and the temple’s famous prasad stood at Rs 101 crore and the rush of pilgrims was such that almost everyone had to wait in queue for at least five hours to get these. The prasad being offered round the clock at sannidhanam is the only facility available for pilgrims. In view of the curbs and drop in number of devotees, traders are reluctant to take the shops, hotels and other amenities on auction. With the deployment of police in large numbers, every pilgrim is being looked upon with suspicion and many are being taken into custody and harassed. As a result, pilgrims from Kerala are preferring to skip the pilgrimage this time. The pilgrim season ends on January 20 and two days later, the Supreme Court will hear in open court 49 review and three writ petitions against its own September 28 order. Therein lies the last hope of the faithful.